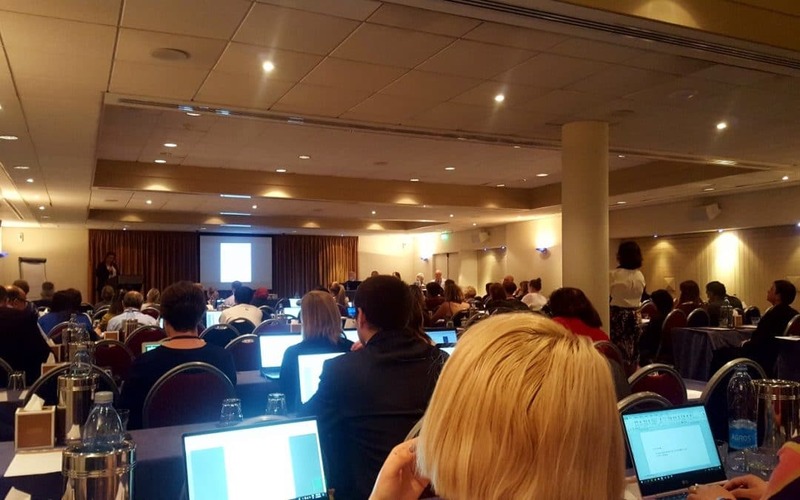 A representative of Bosnia and Herzegovina participated in the TIMSS 2019 6th National Research Coordinators Meeting held on 10 – 14 March 2019 in Limassol, Cyprus. There were participants from over 60 countries included in TIMSS 2019 study. The aim of the meeting was to establish rules and procedures for scoring of student responses from the test booklets and organization of scoring trainings. The participants were given the TIMSS 2018 Scoring Guide to practice scoring and analysing of math and science items for fourth grade. Apart from that, the BiH representative participated in the training ‘Less Difficult Mathematics’ for countries with nine-year primary education. Also, organized was a meeting for the Western Balkans countries (Serbia, Croatia, Macedonia, Montenegro, Kosovo * and Bosnia and Herzegovina) where their representatives reported on the realized activities and future plans related to the administration of TIMSS 2019 main assessment. They shared experiences and gave possible solutions to challenges beneficial to all participating countries. The Agency for Pre-Primary, Primary and Secondary Education realized all the planned activities related to the TIMSS 2019 main assessment in accordance with the prescribed procedures. This meeting was led by the representatives of IEA- International Association for the Evaluation of Educational Achievement, organization that supports implementation of the international education surveys in the Western Balkans countries. It is expected for all Western Balkans countries to share materials and provide generous support to the entire TIMSS 2019 study. Proposed were variables for developing a joint report on the main assessment, which will be led by expert researchers. This meeting was attended by Ms. Branka Popić, TIMSS 2019 Deputy NRC in BiH. *This label does not call into question the status of status, and is in line with Security Council Resolution 1244/1999 and the Opinion of the ICJ on the declaration of independence of Kosovo.